When you need slim fit dress shirts and need them fast, these all white slim fit dress shirts by DE will really take your suit collection to the neck level. Featuring a classic white dress shirt style but slim fit. 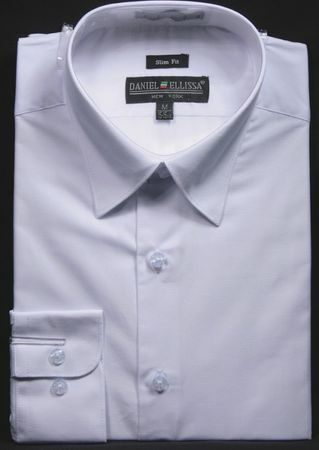 This all white slim fit dress shirt should be at the ready in your wardrobe. Made of cotton/poly fabric.